An annoying inconvenience shared by riders and drivers using Uber is that they both have a hard time identifying each others once the driver arrives at the pick up location. This inconvenience increases the waiting time for the passenger. 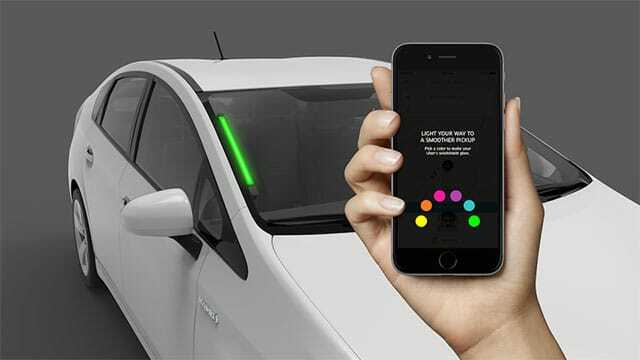 In an attempt to solve this problem, Uber today announced a new device called SPOT which helps the driver and passenger identify each others through the use of colors. The device is a colored-bar that drivers can attach it to the windshield. This bar works by being visible to the passenger. Riders will be asked to choose a color for the bar. Once the driver arrives at the pickup location, the rider will identify its driver because the SPOT device will be lighted up with the rider’s chosen color. Passengers will also be able to raise their phone so drivers can find them easier, because the screen of the phone will be lighted with the color as the SPOT device. Uber is currently testing SPOT in Seattle.